A peaceful scene of rolling waves and a beautiful sunrise is pierced by the loud chopping of helicopter blades. The helicopter alights on a small landing pad and 4 people in neon yellow and black jumpsuits hop out. This group is on their way to work on a giant offshore oil rig. With hefty blue duffel bags slung over their backs, they trek to their workstations 2000 feet above the ocean floor. His sneakers hit the pavement and skip a little as Rob is buffeted by the helicopter wind. Rob is one of the oil rig’s NDT(non destructive testing) technicians. He watches as helicopter immediately takes off and swerves right, back towards the shore. Rob adjusts his heavy duffel bag and briskly walks after the rest of the group. Waves crash hundreds of feet below. As soon as Rob arrives at his station, he dumps his duffel bag on the floor and sits down. For the next hour or so he reviews his maintenance calendar and talks to his fellow technicians to establish his tasks for the day. After getting a clear idea of his day ahead he is ready to leave to the first inspection point. Rob puts on his hard hat and his headset and he and another technician head over to one of the rig’s piping systems. Piping systems like these need to undergo regular maintenance and repair to keep the rig operating safely and efficiently. As both technicians get ready for the task at hand, Rob boots up the articulating video borescope he brought for the job. This tool is one of his essentials for conducting nondestructive inspections in pipe systems, valves, and other components. The other technician unscrews a screw on one of the pipes and Rob snakes in the tip of the video borescope and works in deep into the pipe. He does this slowly and deliberately to try and detect any signs of wear inside the pipe. The screen on the handheld part of the borescope shows seamless curved silver walls until suddenly a jagged line tears across the entire screen. What Rob is seeing is a big crack in the pipe, probably hydrogen induced. This just makes Rob's day all the more interesting as he takes note of the crack and continues his inspection. Non-destructive testing and inspections are incredibly important in the oil and gas industry. This type of testing is used regularly to ensure quality control, prevent system failures, and ultimately save companies money. Oil rigs specifically have many, many different components, machines, pipe systems, and more in order to keep it in working order. 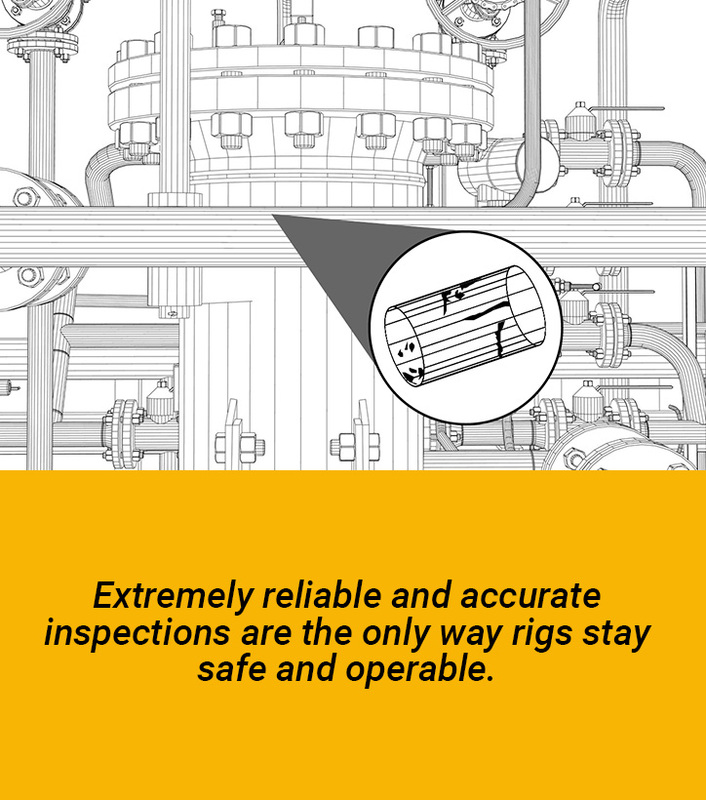 Extremely reliable and accurate inspections are the only way these rigs stay safe and operable. Flexible video borescopes and pipe cameras are ideal for inspecting most of these components because they can show technicians the inside of the piping system clearly. 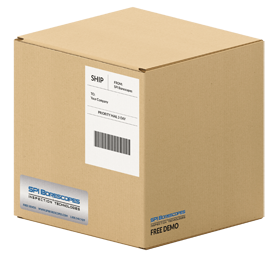 This allows any non-destructive technician, whether it be for an oil rig or a petrochemical plant, to detect any potential damages before they become a problem. 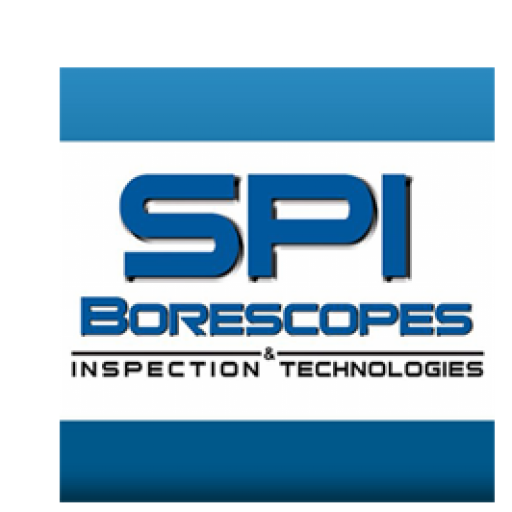 Borescopes also help provide these technicians with historical data so it is easier to determine how often a specific component should undergo maintenance and repair. Companies in the oil and gas industry are legally obligated to maintain their facilities to very high standards daily. This can be a daunting task since there are so many components in, for example, an offshore oil rig. 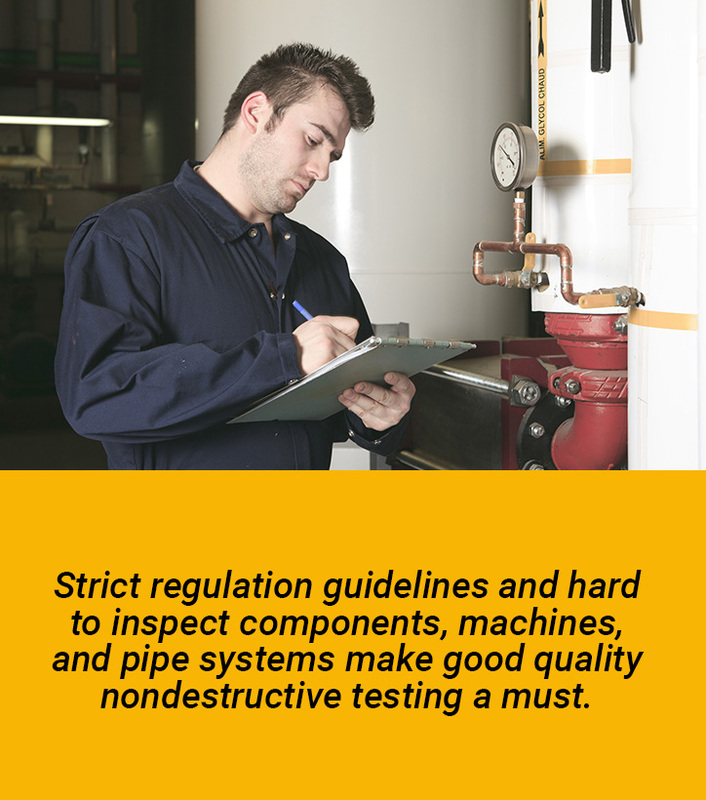 Strict regulation guidelines and hard to inspect components, machines, and pipe systems make good quality nondestructive testing gear a must. Regular maintenance inspections and testing occur for the entire lifetime of a facility. So, it is critical that facilities in this industry are equipped with the tools they need to conduct reliable, accurate inspections and collect data to help shape future inspection standards. Because of strict inspection guidelines and safety procedures, nondestructive inspections and testing are extremely important in the oil and gas industry. It is increasingly critical for all pipelines, refineries, gas plants, and chemical plants to stay up to date in these inspection techniques and tools. The tool an NDT (non-destructive testing) technician uses determines the difference between an effective inspection and an incomplete inspection that can potentially risk many human lives. 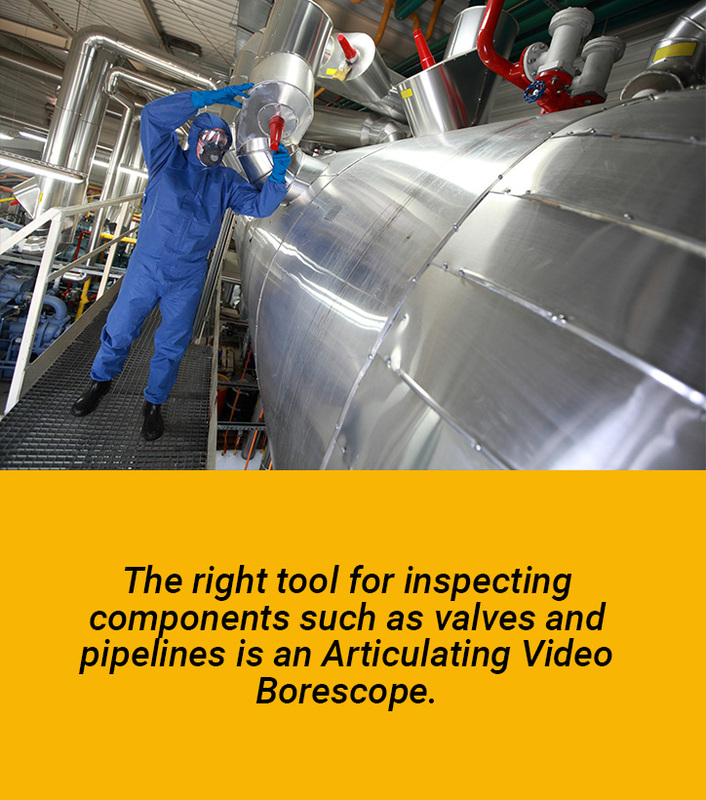 The right tool for inspecting components such as valves and pipelines is an articulating video borescope. 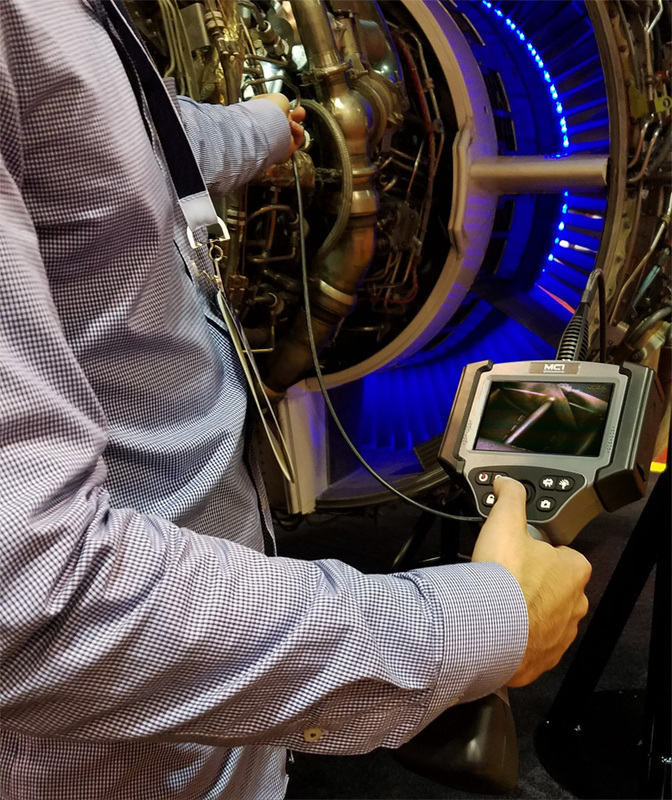 A handheld borescope is perfect for getting into small spaces, such as pipes, and checking for corrosion, cracks, and other signs of severe wear. 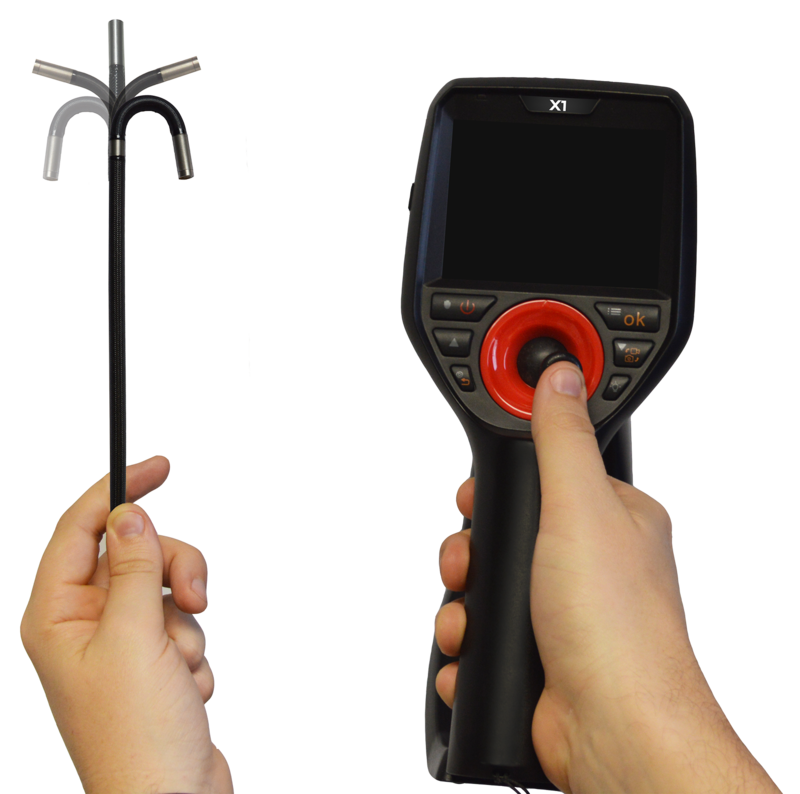 This tool will help an NDT technician get the inspection done right the first time. Our two most Popular Articulating Video Borescopes for the Oil & Gas Market include: The JCM SERIES & The X1 SERIES. 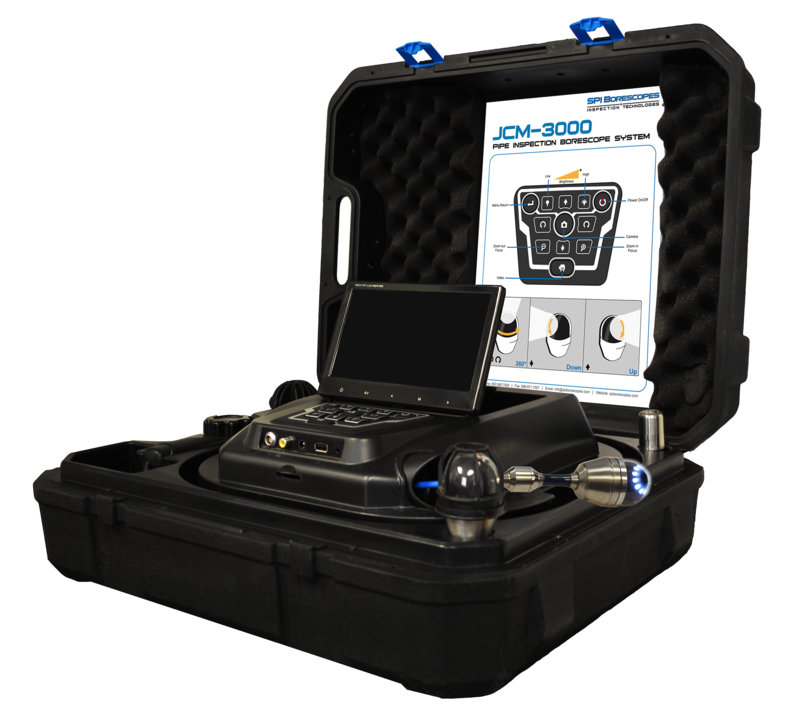 The JCM Series Articulating Video Borescope is a major innovation in High-End Digital Borescope Pipe Cameras, Extreme Durability, and Remotely Controlled Camera Articulation. This revolutionary Pipe Inspection System provides the ideal inspection experience through interchangeable cameras, longer insertion tube lengths, and upgraded features.